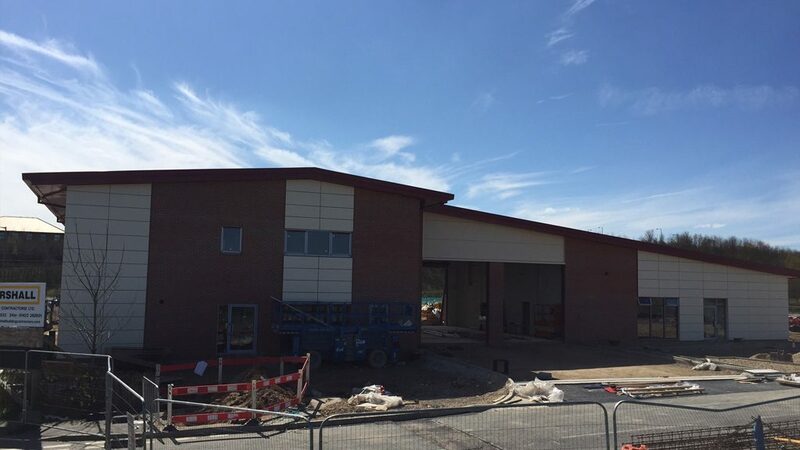 Building work is well underway on the new state-of-the art fire station near Ossett which makes use of our Fairfaced and Fairfaced Fire Spec Concrete Lintels. The new base is being built at Silkwood Industrial Park, near junction 40 on the M1. The fire station is relocating from Dale Street, Ossett, to nearer Wakefield city centre as part of West Yorkshire Fire and Rescue Authority’s Integrated Risk Management Plan and replaces the current near Ossett town centre built in 1972. The new location, at Junction 40 of the M1, will enable crews to support the Combined Aerial Rescue Pump based in Wakefield when the second appliance at Wakefield Fire Station has been removed. The £3.76m project could take up to 52 weeks to complete and the station is expected to be operating from November next year. Coun Tracey Austin, West Yorkshire Fire and Rescue Service vice chairwoman, carried out the ground breaking ceremony at the site on Wednesday 2nd September 2015. She said: “I am pleased to have carried out the honours for the new fire station, which will facilitate Ossett and surrounding areas. 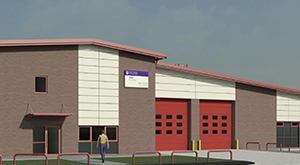 It will have state-of-the-art facilities including a gym, kitchen and a young firefighters training facility on the ground floor. The base will also have six study bedrooms, and a multi-purpose room, which can be used by the public.